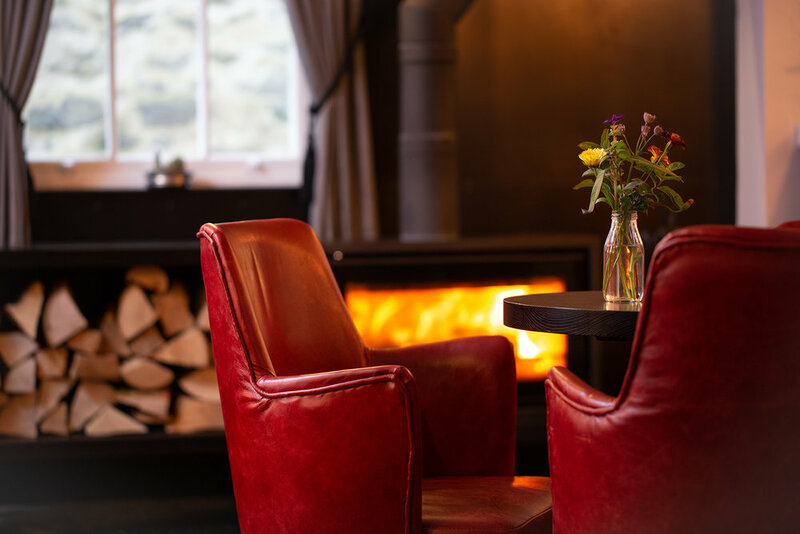 The Black Bull, Sedbergh is the perfect getaway for people and their dogs… situated in the heart of the Yorkshire Dales, a location fast becoming one of the UK’s favourite dog friendly destinations, which boasts an array of places for you and your four-legged friend to explore. 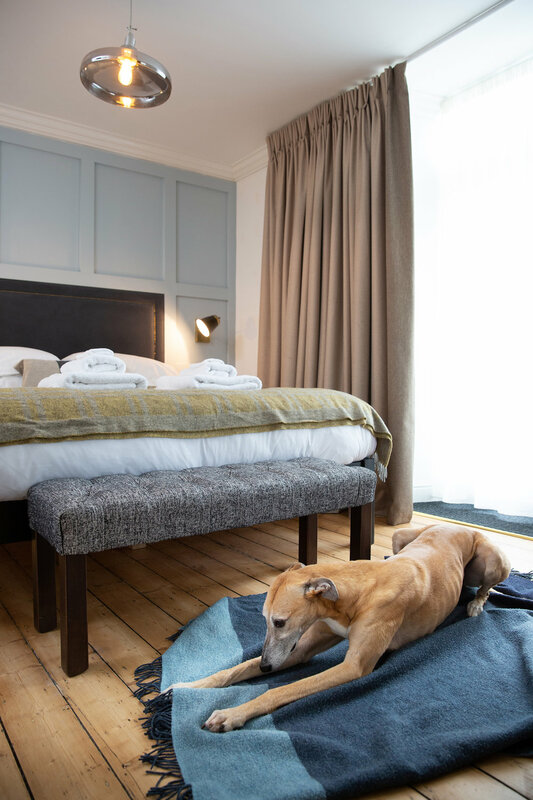 The Black Bull welcomes well-behaved dogs in 3 of our rooms, with easy access to a huge selection of walks right from the door. Perfect for an early morning explore before breakfast. This room has been carefully designed to emphasise the beauty and history of this former coaching inn, making the most of the original features, including original stained glass, wooden panelling and ceiling beams. Alongside this we have sought to use local crafts people where possible to add touches of luxury to your surroundings and to connect you with the magnificent beauty of the Dales and the Howgill fells which surround you. Unfortunately, dogs are not allowed in the restaurant, however, we are happy to accommodate you and your dog in our guest bar or casual dining area - where you can enjoy a selection of dishes from our delicious freshly prepared seasonal menus. 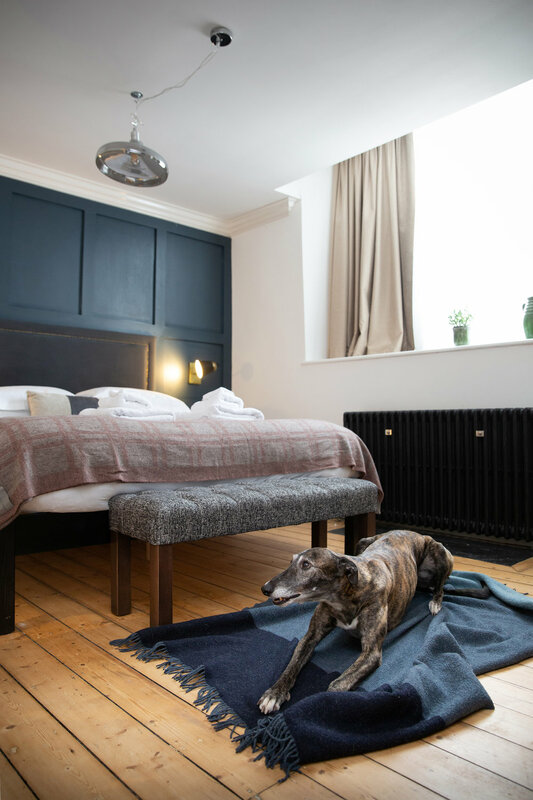 Our bedrooms are cleaned to an exceptionally high standard, so if you’re not a dog person you won’t even know there’s been one staying there. Please note there is a restriction of two dogs per room as a maximum and are charged at £25 per stay.